Leave Arusha at 09.00 am, drive for about 2 hours to Lake Manyara National Park, famous for its green scenery, varied bird life, tree-climbing lions, hippos and baboons. Dinner and overnight will take place on top of the Great Rift Valley, overlooking Lake Manyara. Early breakfast at 6.00 am. Game drive en route to Serengeti National Park. Serengeti is the largest and most famous park in Tanzania, known worldwide for its endless plains, wildebeest-migration, herds of lions and other predators like hyenas, cheetahs and leopards. Crocodiles can be found in the Grumeti River, as well as hippos, giraffes, antelopes, and gazelles. Dinner and overnight in the heart of Serengeti ! Another game drive in Serengeti. In the afternoon you drive en route (optional stopover at Olduvai) to the rim of Ngorongoro Crater for dinner and overnight with an excellent view of the crater floor! 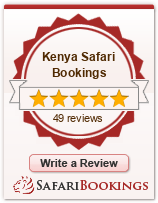 Please note that Simba Camp is the only common campsite in the area, and that the facilities are sometimes difficult. We recommend a night in one of the lodges for those who will book a Camping! A full day in the Ngorongoro Crater. There is a very high possibility of spotting the big 5 in one day: lion, rhino, elephant, buffalo and leopard. Lunch will take place at the picnic site at the crater floor. In the afternoon, drive back to Arusha.